MariahCarey > News > Mariah Launches Single &amp; Announces May 6 Album Date! ALBUM DATE FOR THE MOST ANTICIPATED RELEASE OF THE YEAR! IN KEEPING WITH HER COUNTLESS ARRAY OF MEGA-HIT LOVE SONGS, MARIAH HAS CREATED ANOTHER CLASSIC ANTHEM  JUST IN TIME FOR VALENTINE'S DAY! 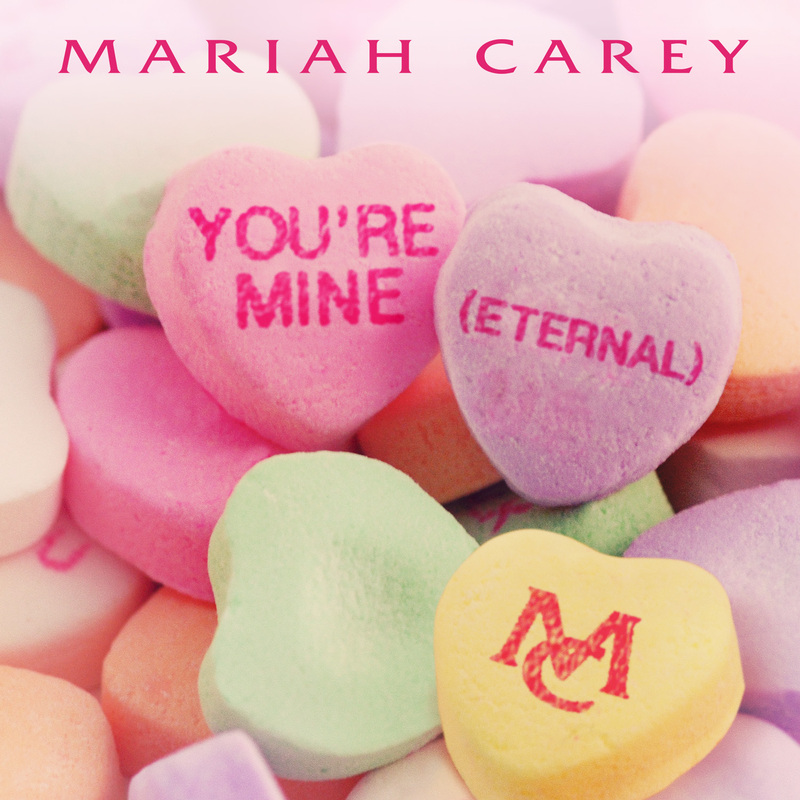 (February 11th, 2014  New York, NY) Multi-platinum global superstar Mariah Carey explodes into the new year with "You're Mine (Eternal)," her brand new single which she wrote and produced with hitmaker Rodney Jerkins and is launching just in time for Valentine's Day. Both the highly-anticipated, multi-format single, and the remix featuring uber-talented R&B heartthrob Trey Songz, blast off globally to radio and all digital retailers on Wednesday, February 12th and set the stage for Mariah's new album coming May 6th on Island Def Jam / Universal Music Group. Mariah continues her philanthropic efforts and opens her heart and home by partnering with Prizeo to offer a once-in-a-lifetime exclusive private concert to those dedicated fans who make a donation to the St. Jude Children's Research Hospital. Mariah desired to do something extra and offered a special Valentine's Day concert to the lucky winner. St. Jude Children's Research Hospital is leading the way the world understands, treats and defeats childhood cancer and other deadly diseases. Mariah traveled to Puerto Rico's El Yungue National Rain Forest to film her video for "You're Mine (Eternal)" and to experience firsthand the soaring natural beauty of this environmental wonder. She sought to further highlight the need to protect and preserve our planet's natural resources and to raise awareness so our future generations will be able to enjoy the same. On Wednesday evening, February 12th (7:50pm ET/PT), MTV and Mariah will join forces for the unprecedented global video premiere of "You're Mine (Eternal)." Mariah and MTV News host Sway will be live on air in NYC for the U.S. video premiere., and the video will go live in 159 territories worldwide. Viewers from around the world will be able to simultaneously view the video at MariahCarey.mtv.com. Mariah will also make a rare, special Valentine's Day appearance on BET 106 & Park for the network premiere of the "You're Mine (Eternal)" remix video, featuring Trey Songz. And don't miss Mariah's performance of "You're Mine (Eternal)" on "BET Honors" airing Monday, February 24th in the US and around the world on BET's international network on February 28th at 9:00pm GMT. Mariah took home the Entertainer Award at the "BET Honors" in 2012. "You're Mine (Eternal)" is the follow-up to Mariah's sultry platinum-selling "#Beautiful" featuring Miguel, a worldwide chart-topping sensation, which hit #1 in over 35 countries and garnered 40 million YouTube views! "#Beautiful" is nominated for "Outstanding Duo, Group or Collaboration" at the upcoming 45th Annual NAACP Image Awards. Mariah Carey is the best-selling female artist of all time with more than 200 million albums sold to date and a record 18 Billboard Hot 100 #1 singles (17 self-penned), more than any solo artist in history. With her distinct five-octave vocal range, prolific songwriting, and producing talent, Mariah is the template of the modern pop icon. She pioneered the latest trend of integrating different genres of musical collaboration now seen so often in pop music. As a singer/songwriter/producer, she has been recognized with countless accolades, including multiple Grammy Awards, 21 American Music Awards, Billboard's "Artist of the Decade" Award, the World Music Award for "World's Best Selling Female Artist of the Millennium," and BMI's "Icon Award" for her outstanding achievements in songwriting, to name a few. Mariah Carey's ongoing impact transcends the music industry to leave an indelible imprint upon the world at large. She has made substantial marks in film with critically acclaimed roles in Lee Daniel's Precious (2009) and The Butler (2013). A Congressional Award recipient, Mariah has generously donated her time and energy to a range of philanthropic causes near to her heart including St. Jude Children's Research Hospital, Save the Music, the Make-A-Wish Foundation, World Hunger Relief, and the Elton John AIDS Foundation, among many others. A tremendous supporter of children's charities, both domestic and international, Mariah founded Camp Mariah in partnership with the Fresh Air Fund, a retreat for inner city children to explore career development.